The latest episode of my new show, PROGRESS, is coming up tonight at 10pm eastern with new tracks from Kamelot, The Sword, Vanisher, Teramaze and others. 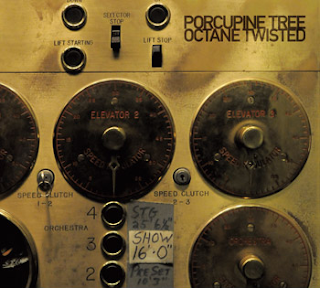 My favorite band (and future subject for my "I love this band" feature), Porcupine Tree, is about to release a new double live album, Octane Twisted. I have been a fan for more than a decade and they continue to grow and expand their musical vision. If you have not seen them live...you are missing out. Start here and work your way back, the entire Porcupine Tree catalog is still in "heavy rotation" during my personal listening. Upcoming posts will highlight their individual releases and members.